Lady Buffs will have tough season opener at home against Hidden Valley on Nov. 28. 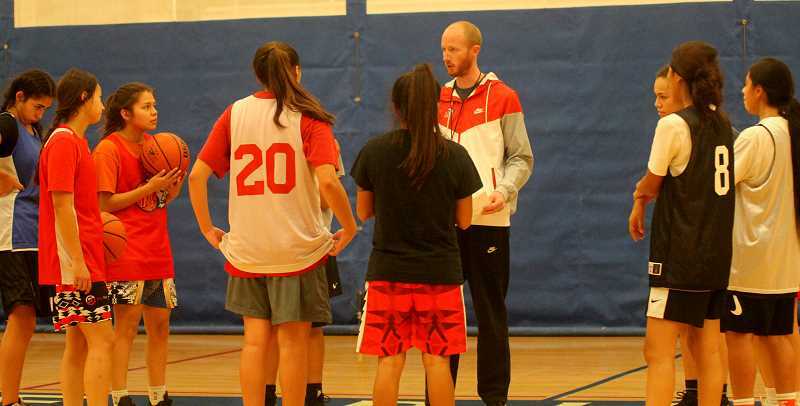 The Madras White Buffalos girls basketball program has high expectations and is ready to take another step forward with new coach Jerin Say. Say took over for Zach Lillebo this year and is going to implement his new system and style to fit the talented team. 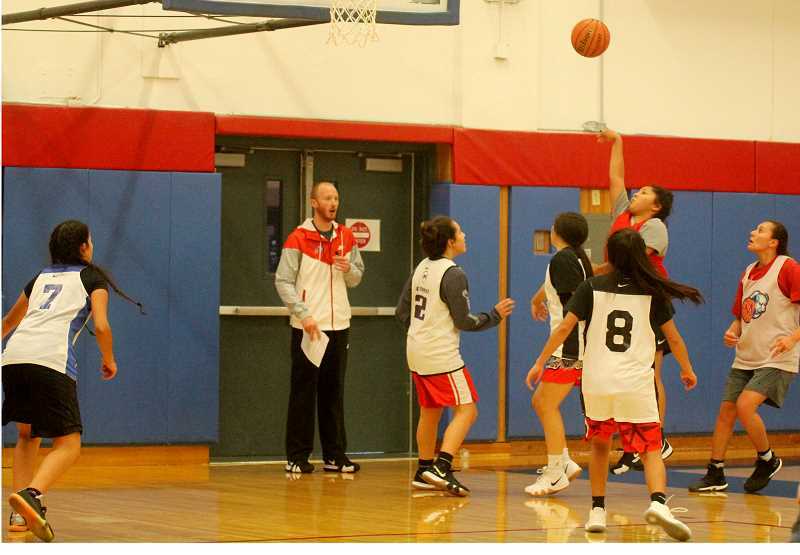 "Expectations for us is to come together as a unit first and foremost," said head Madras girls basketball coach Say said. "The goals we have set are to come back, win a league title and compete for a state championship." "We are learning a new system — whether it is a new press system or man-to-man principles — and new offensive principles, too," he said. "I watched a lot of film of this team last year and I think with our pressure defense, man-to-man defense, we are going to create a lot more havoc and turnovers. The team is going to have a lot more possessions and the more possessions we get, the more opportunities we have to score. We are going to feed off our defense this year." The White Buffalos finished last year's season with a 22-3 record, but unexpectedly lost to Valley Catholic in the first round of the playoffs. In the last four years, former coach Zach Lillebo was named Tri-Valley Coach of the Year three times. The Buffs will also be playing without three-time Tri-Valley Conference Player of the Year Lynden Harry, who graduated last year. The new group of upperclassmen still has the same goals, if not higher aspirations, for the upcoming season. "My expectation are for everyone to want the same goal," said junior Jiana Smith-Francis. "The same game we all should have is have a good preseason, get another league title and make it to state." "In the past year I have been here, we have had some good chemistry," Smith-Francis said. "Sometimes we play how we know because we grew up playing ball, but we need some coaching to help us get to the next level." "If we work well as a team, play well as a team, stay positive, don't let outside things affect our team chemistry, we will have another successful year," senior Jalaney Suppah said. "A lot of girls have grown up playing basketball and we have a high basketball IQ." The girls basketball team will look to use their speed, skill and intelligence this year to outplay their opponents. "Hard work, fast pace, and toughness," Say said about what fans should expect of the team this year. Say was impressed by how quickly the team is picking up an entire new system and coaching style. "Our strengths are our quickness and basketball IQ," said Say. "Even though these girls are learning a new system, these girls are smart enough to pick up on little details that we talk about in practice. This team has a lot of skills individually, whether it is shooting, dribbling, passing, using our press. These girls get after it in the full court and we are going to rely on that." The White Buffalos will play Hidden Valley at home on Nov. 28. Hidden Valley was ranked among the top five teams last year and will be a tough challenge for the girls. "This first game might be a little rocky, but we're going to focus on our defense and try to control the things we can control — play hard, go try and create turnover and get lay-ins off of turnovers. As we get in our half-court offense, we are going to create for each other. As we keep learning things, will become more detailed and more fluent." Tipoff will be a 7 p.m. for the Madras White Buffalos girls basketball season opener.